Simple good pleasures for good mental heath. Some time ago, I had written about the rules of pleasure. Today I shall focus on simple good pleasures in life which nourishes and fulfills the mind (mental), body and soul. Why simple pleasures? Because good healthy pleasures do not need to be complicated by massive planning or expensive trips. Just keep it simple and spontaneous. During the recent Chinese New Year, I introduced a good-old card games which I played during my childhood days called gin rummy ( a two-player card game created in 1909). My kids learned and love it instantly and we had a great time! Let’s begin with physical simple pleasures. Eating simple non expensive food is a good start. 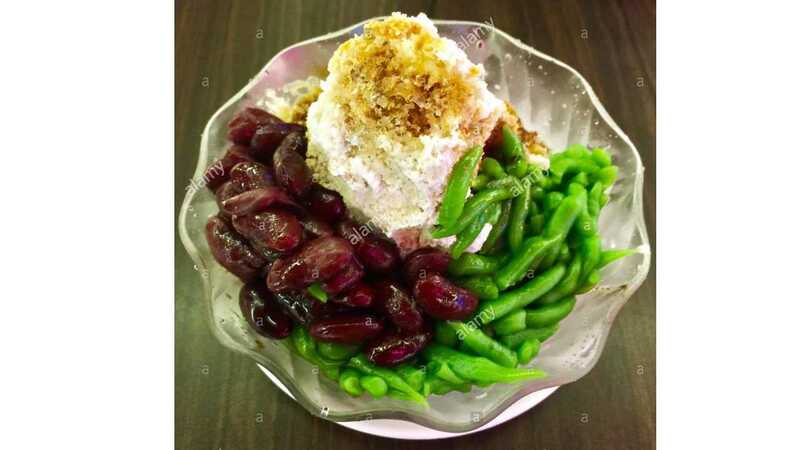 In Malaysia, on a warm sunny day, we can enjoy a bowl of yummy ice “cendol” ( cendol is an iced sweet dessert that contains droplets of worm-like green rice flour jelly, coconut milk and palm sugar syrup). A month ago, I discovered a mamak shop which makes really crispy “roti canai”( Indian-style flatbread ) and “thosai” ( Indian pancake ). 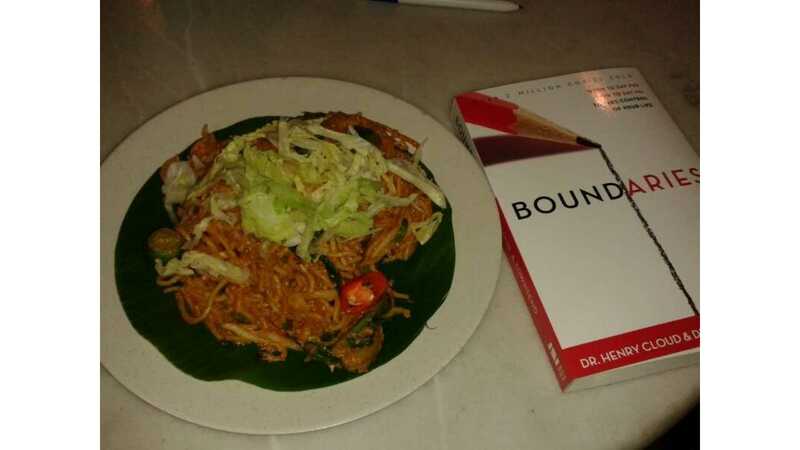 One of my favourite is a nice plate of “mee mamak” with a good book. The list can go on and on since Malaysia is a food haven and you can easily source more simple nice food from food bloggers. A good sleep is certainly a simple daily pleasures. Since many come to see me for insomnia which could occur for days, weeks, months or even years, I must say that good sleep is very precious. A good, uninterrupted sleep is absolute enjoyable and help us to feel refreshed for our mission and adventures for the next day. Last but not least is exercise, be it alone, with an exercise partner or competitive games such as tennis,badminton, golf etc. My favourite simple pleasures is to go for short hiking trips with my family. I would search for hiking spots. 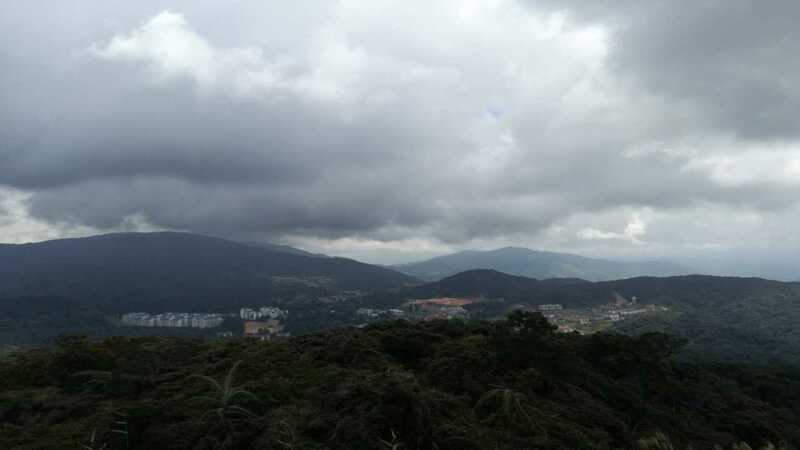 My recent hiking spot was “Gunung Jasar” ( Jasar Mountain) in Cameron Highlands. The view and weather was absolutely awesome. Physical good simple pleasures nourishes and recharges our body so that our body can move as fast as a fully charged Tesla engine! In my next article, I will share about simple psychological/mental pleasures which nourishes the mind and the emotions.